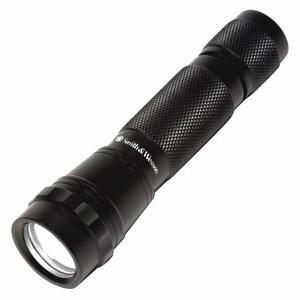 Powerful ultra-bright XENON focused beam produces over 70 lumens of tactical light! Constructed of T6-6063 high density aerospace aluminum. Anodized inside and out for superior corrosion resistance. Double "O" ring sealed. Fire, water, moisture and chemical resistant! Tailcap momentary and constant on switch. Lens made of high tension, shatterproof and scratch resistant polycarbonate. Uses two (2) lithium 3V CR123A batteries (included). Includes deluxe nylon belt holster with key ring and spare bulb. One of the best selling lights used in today's military and law enforcement communities! !